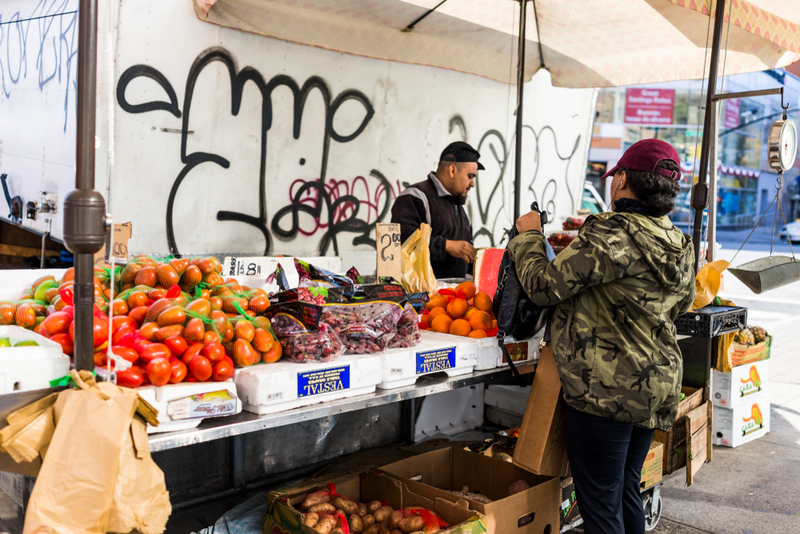 A new report examining a now completed five-year, $15 million project to improve access to healthy food within New York City communities found the program succeeded in bringing healthy options into neighborhoods that were previously food deserts. The initiative came out of the Laurie M. Tisch Illumination Fund, which is broadly concerned with equity in New York, a city with increasingly stark income inequality where zip code can determine a person’s education level, healthcare and food choices. Expanding access to healthy food is one of several areas in which the fund works to level the playing field for disadvantaged New Yorkers. The fund’s Healthy Food and Community Change initiative was a major push to ensure low-income residents had the same food options as their more affluent neighbors. The initiative, which ran from 2013 to 2018, is a reminder that it’s not just public health funders that are engaging food issues, typically as part of their “upstream” work around the social determinants of health. In recent years, a range of philanthropies has entered what Arabella Advisors describes as the “Good Food” space, with various motivations. A desire to address those disparities motivated the launch of the Healthy Food and Community Change initiative in 2013. The neighborhood-based project was bent on transforming communities and nurturing public-private partnerships that reach across sectors through increasing access to healthy foods. The program sought to engage residents, exploring how expanding access to healthy foods could be used to better residents’ health and create jobs. Rockefeller Philanthropy Advisors recently wrapped up a year-long evaluation of the now completed project. Some of the evaluation was done by third parties and other parts were done internally. The firm works with donors to help them give strategically and thoughtfully. The partners have worked with the Illumination Fund since 2008. “Food sounds like a simple topic, but access to healthy food and healthy choices is remarkably complex because it’s bound up in long-term, deeply rooted issues of economic opportunity, community resilience, equity, and infrastructure,” said Melissa Berman, the firm’s CEO and president. Rockefeller Philanthropy Advisors found the Illumination Fund’s initiative improved or added 58 farmers markets, farm shares, gardens and healthy bodegas to previously overlooked neighborhoods. Through those avenues and pantries, the program distributed nearly 1.5 million pounds of healthy food during the five-year initiative. In addition, about 4,300 families were pre-screened, referred to or approved to receive federal assistance to buy food through the Supplemental Nutrition Assistance Program. Evaluators also found the initiative reached more than 45,000 residents, achieving the fund’s aim of engaging community members with this work. To create jobs related to healthy foods, the Illumination Fund supported the New York City Housing Authority’s urban farm project. The farms, which are attached to public housing sites, are part of the city’s Building Healthy Communities program, which works with partners to improve food access, physical activity and other drivers of health disparities in specific neighborhoods. In addition to providing residents with fresh fruits and vegetables, the urban farms doubled as a workforce training program for young adults living in public housing. The residents, who were members of the Green City Force Urban Farm Corps, built and operated the farms. Participating in the corps set young people up to find jobs or head to college. In the last cohort, 96 percent of residents did just that within a month of finishing the program. Another aim of the initiative was to foster cross-sector collaboration that would outlast the grants’ duration. Rockefeller Philanthropy Advisors found that more than 100 organizations formed relationships with others over the course of the grants, including anti-hunger organizations, academic institutions, city government agencies, neighborhood organizations and healthcare providers. One of the benefits of those partnerships is that multiple sectors are aware of and can address food insecurity. For example, doctors and nurses can screen patients for access and ability to afford healthy options. Developers working on affordable housing can build access to healthy food into their plans. The Illumination Fund is hardly the only foundation looking to increase access to healthy food, though many of the other funders working in this space focus on public health more broadly. Improving food systems became a popular cause among health funders as they shifted their work to address the underlying social and environmental factors that determine health. Unhealthy diets, often fueled by a lack of accessible and affordable healthy options, can lead to obesity and chronic health issues like heart disease, high blood pressure and diabetes. Preventing these kinds of problems is seen as a key to improving population health. While the Robert Wood Johnson Foundation was a pioneer within philanthropy in addressing the social determinants of health, such work has become popular among public health funders of all sizes—quite a few of which support efforts to expand access to healthy food. But many other funders also work on food, including a mix of national and local foundations. The national affinity group in this space, Sustainable Agriculture & Food Systems Funders, lists several dozen members. Community Food Funders, which focuses in the New York Tri-State area, hosts a directory of foundations in this region that are engaging food issues and agricultural issues in different ways. The Illumination Fund first got involved in expanding access to healthy food back in 2008 around the same time public health funders were starting to look upstream in a serious way. The fund provided $1.5 million in seed funding to support the city’s NYC Green Cart initiative, which brought healthy food into underserved neighborhoods. The fund works to improve health for New York’s low-income residents in other areas, as well. Last spring, it launched a $10 million initiative to support organizations that use the arts as a tool for healing in their work on health issues. The grants focused on mental illness, trauma and diseases connected to aging.